Accentuating its new positioning and commitment to education within the Sri Lanka market, the International Advertising Association (IAA) Sri Lanka Chapter recently held a workshop called ‘Media Mantra – To Win in a Connected World’ at Citrus Waskaduwa. 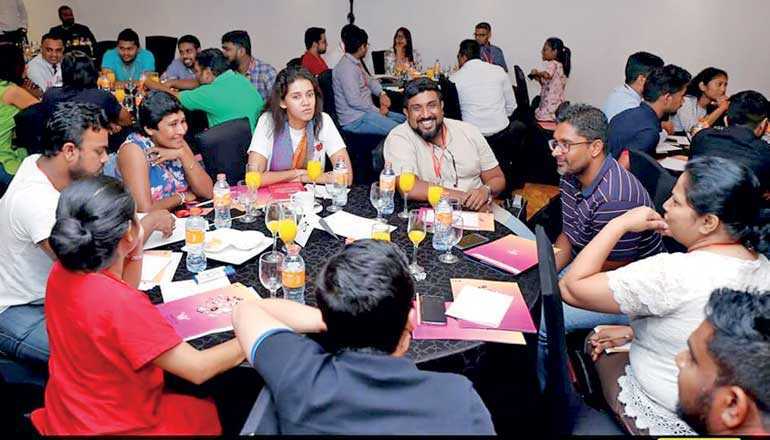 Media Mantra 2018 provided a practical overview of media planning, buying and evaluating in Sri Lanka; the workshop was designed to help brand leaders make informed decisions that will help manage their brands media investment better. The workshop included over 50 media, advertising, marketing professionals and industry experts from across the media agency fraternity sharing hands on experience, insights and best-in-class processes that helped identify the most valuable audiences along with the most effective ways to engage them amidst the dynamic realities of the new-world. The workshop consisted of discussions on relevant topics such as the current Sri Lankan media landscape, media planning, the terminology used, setting KPI’s & business objectives, media integration, digital ROI and measurement followed by group assignments where participants were required to present a media plan at the end of the program. Nilusha Wanasinghe from the media industry said that she walked away with a renewed sense of urgency regarding the role digital media needs to play in Sri Lanka’s media landscape and Chintani Mendis from the marketing community felt that the workshop provided her with the tools necessary to fully appreciate the nuances and contribute more significantly when it came to media planning for her brand. The International Advertising Association (IAA), headquartered in New York, was founded in 1938 to champion responsible marketing. The IAA, with members in over 40 countries, is a one of-a-kind global partnership comprising advertisers, media, advertising, media companies, and educational institutions. The IAA is a platform for industry issues and is dedicated to protecting and advancing freedom of commercial speech, responsible advertising, consumer choice, and the education of marketing professionals. For more information, please visit iaaglobal.org.